Looking back on the year behind is always a little cathartic. While I prefer to focus on the future, I know the past is what really shapes us! I thought I’d share some of the highs and lows of the past year, mostly from the realm of travel, but a few from our personal lives as well. This was my first press trip and it will probably live on as being the best. Even though The Lafayette Hotel gave me a mild case of the heebie jeebies (the hotel has a long, haunted history), the historic nature was something I love. 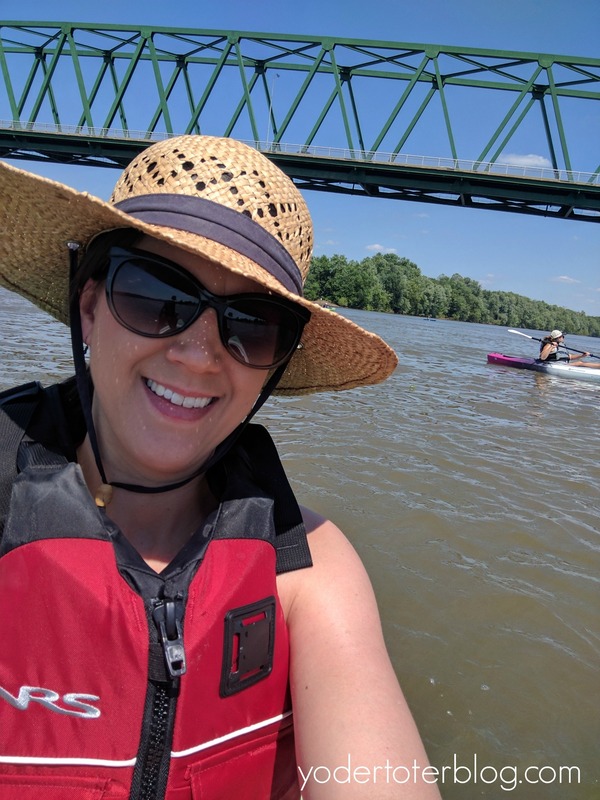 While in Marietta, I was able to kayak and hike, two of my favorites. But above all the fantastic experiences, I met other women that love travel and are all pursuing it through blogging. I came home more energized about my craft and shouting “Girl Power!” Ok, I didn’t really shout about Girl Power, but I did feel like I met my tribe. We didn’t want to spend a lot of money, or take much time away, but we traveled to Cleveland for one night in July to celebrate 13 years. I booked the Hilton Cleveland on Priceline for under $100 and the front desk gave us an upgrade at check-in. 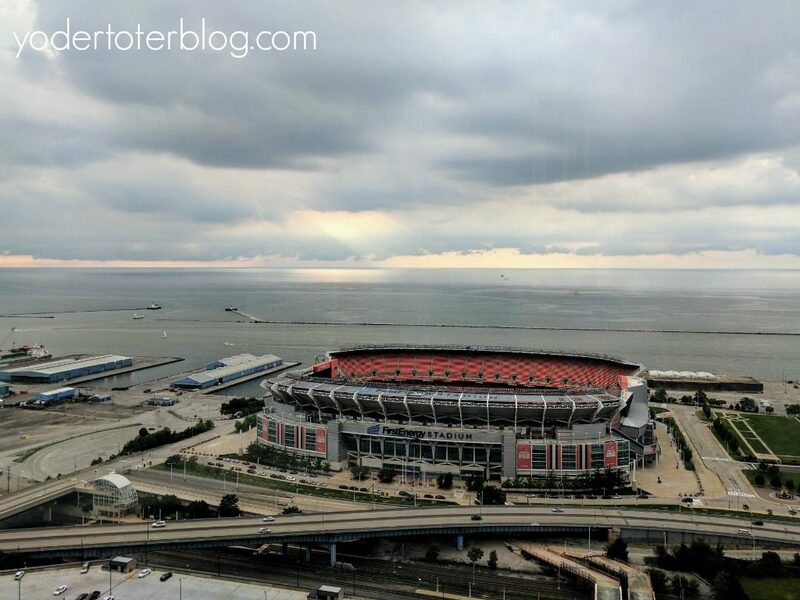 The views from our room were fantastic (if looking at the Browns stadium doesn’t make you too depressed). The views were even better from Bar 32, on the 32nd floor and facing Lake Erie. We finished our appetizers just in time as a storm rolled in from the lake. This view was a little less sad over the summer, before the Browns went 0-16. New Orleans was better than I expected. That said, my favorite day was spent away from the French Quarter and within the Garden District. I loved arriving by trolley, having a tour guide for Lafayette Cemetery, and then eating shrimp and fried green tomatoes. Mossy trees, antebellum homes, and captivating history is what I love so much about the south- and the Garden District of NOLA perfectly encapsulated all three. Every few years we’ve driven to Cedar Point in Sandusky, Ohio, spent the day riding rollercoasters, and then driven home. Never again. After visiting Sandusky on a press tour, I’ve realized that the downtown area offers so much for locals and visitors. Maybe one of their biggest strengths is the numerous places to eat or drink – my favorites – J. Bistro for a special night out, or Bates Farm Kitchen for a farm to table breakfast or lunch. We enjoyed 3 days of family-fun in Fort Wayne while tagging along to my husband’s work conference. We didn’t know what to expect from the small, Midwest city, but we absolutely fell in love. As we were leaving, the hubs and I both confirmed that we’d be happy moving there if the need ever arose. 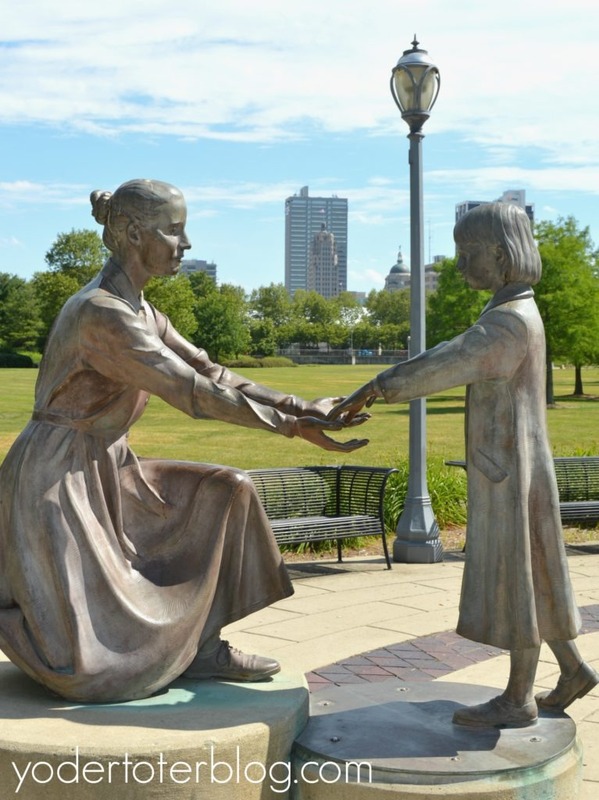 Fort Wayne is clean, has lots of public art, green space, and plenty to do with kids. Mr YT’s conference is at the same spot in 2018, so we’re adding a couple days onto the trip and plan to explore (and eat) even more. I hate to be a Debbie Downer, but 2017 had plenty of hard moments, too. I grew up within walking distance of both of my grandmothers. I spent countless hours with them and they molded me in so many ways. 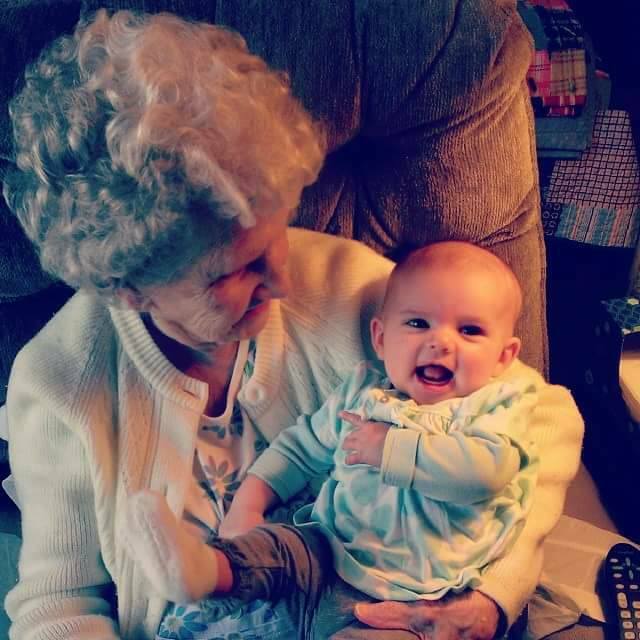 Even though Gran was 98, the loss was still hard to take. In some ways, it felt like the official end to my youth as both of my grandmothers are now gone. I shouldn’t complain because so many are worse off than we are, but this year we a battle of constant illness. A mild case of the flu in February, two bouts of the stomach flu, and countless migraines. One migraine in October was so bad, I chose to go to the ER (I thought I was having a stroke). My other grandmother used to say, “getting older isn’t for sissies,” and I felt some of that this year as it appears my migraines have hit an all time high (and are mostly incurable). I hate to put this under the “worst” because moving also gave us some positive things, but I will say, moving from somewhere that you’ve lived for 7 years, where you started your family, where your neighbors were like family… it was not easy. Finding a new church, new doctors, new routines- it all takes time. I’ve always thought I did well with change, but I think the older we get, the less we like change. I am thankful for how well the kids adjusted. The first couple of months were difficult, but they have handled it so well and adjusted to the new home with absolute ease. I’m also thankful for budding friendships and for what is yet to come. What were some highs and lows of your 2017? Maybe you’ve wrecked a Segway, too?